The day before Dede's birthday, Mama gave her a choice between Nintendo and Bicycle, and surprisingly Dede picked bicycle (maybe because Dekya just got a bike a couple of days before). Mama and Busu went to Wolf's Bike Shop at Sheikh Zayed Road, but the price is unbelieveable. 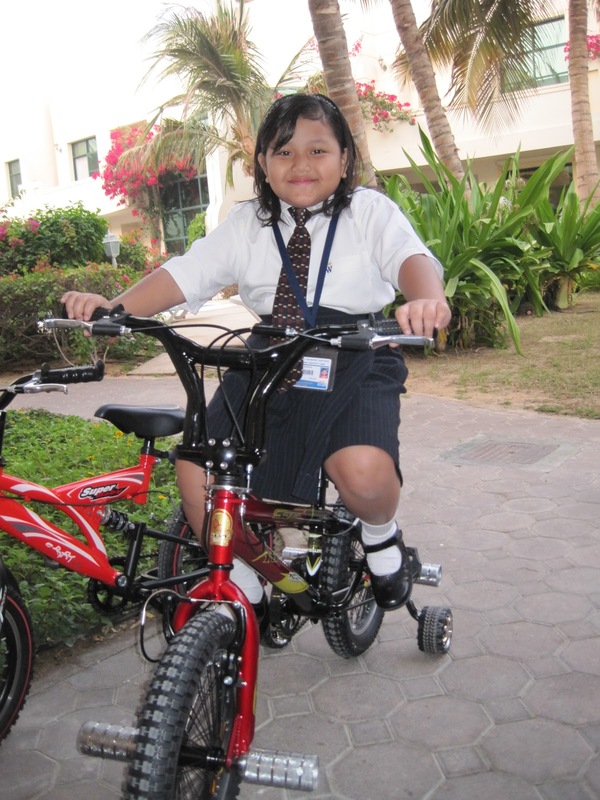 AED 1700 for a junior bike! Even pam angin basikal pun sampai AED 240. Terus tak jadi buy kat situ. Mama went all the way to Dragon Mart and got Dede this for AED 300. Made in Taiwan (as opposed to Made in Germany like in the Wolf's Bike Shop) but it looks tough and sturdy. And trendy too.. Roda tepi tu was a special request to the bike shop because Dede can't ride a two-wheel bike yet! The past week before Dede's birthday had been busy with her friends' birthday parties.. and Mama knew actually Dede wanted to have a birthday party too. But Mama pujuk kata having to organize bday party here would cost a lot. So Dede had one wish.. dia kata, when she comes back from school on monday (Dec14), she wanted a cake on our kitchen table waiting for her. Kawan2 pun excited sangat nyanyi utk Dede..
Mama, Abg & Dekya bought Dede birthday cards from Park & Shop. AED 12 each..( ish,ish.. simple2 jer pun cards nye). 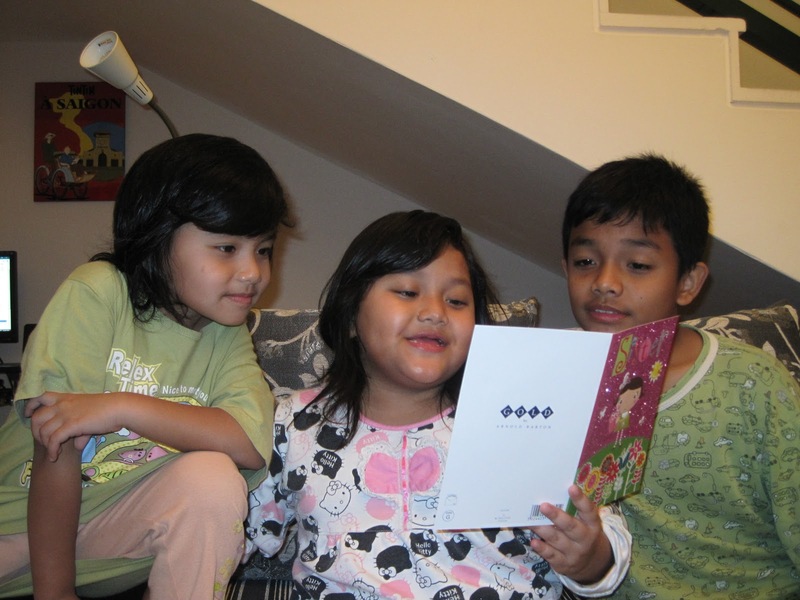 And Busu promised to give Dede bday card bila dah balik KL.. ps : Dede, make sure Busu tak buat-buat lupe bila dah balik KL nanti.